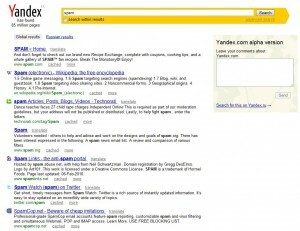 Yandex: the best search engine in the world? 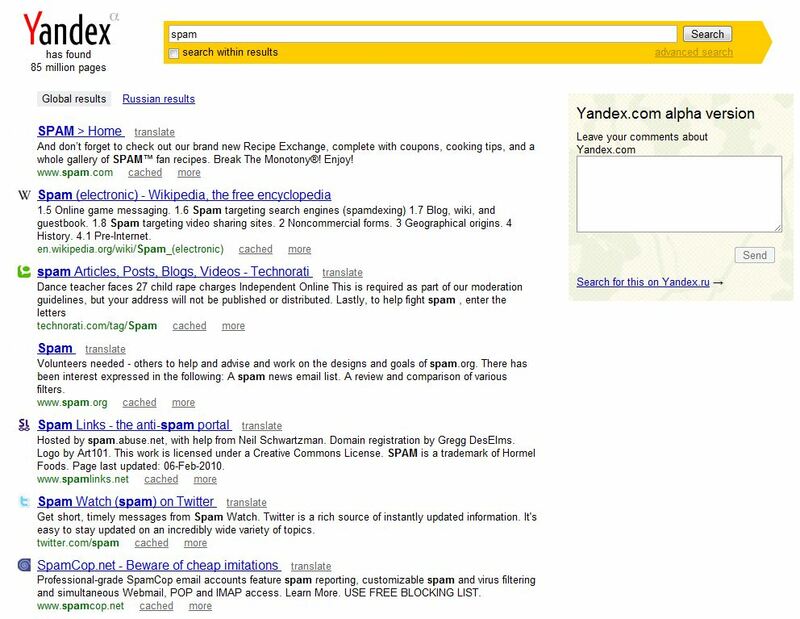 Somehow, Yandex, the well known Russian search engine has launched in the UK with very little fanfare. Please forgive me for getting this post up quickly. There is a lot of research I'd like to do before I make to many conclusions, but since when has research got in the way of a good story! 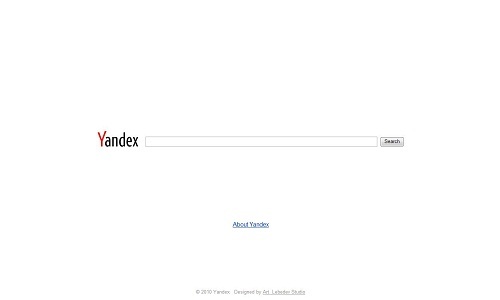 If you like your search engine to have a minimalist homepage, then you'll love Yandex. After a very brief play I'm incredibly impressed at the relative lack of spam and the quality of the results that are being returned. Not to mention the fact that there aren't any ads. Take for instance a search for "buy viagra online", a hotbed of all that is bad on the internet. At the time of writing 3 of the top 5 results Google returns are from hacked .edu domains. It's hard to look at viagra SERPS and not think spam, but Yandex returns the cleanest set of results I've seen for such a search. Buy Viagra Online. My 5 seconds look at "car insurance", a pretty common example of sites that have bought they way up the listings returns a completely different set of results from the ones you might be used to at Google. I've not had a chance to dig very deep but a first glance at the results would seem to suggest they are either taking a more aggressive approach to finding and banning paid links that Google is or they are better at removing spam from their index.. Either way, its good news for us whiter than white search agencies. Check out the results for the following searches.. I guarantee you'll be impressed. So far I'm incredibly impressed. Impressed enough that I'm going to make Yandex my default search engine for a while. Impressed enough that if I were at Bing HQ I'd be worried, hell, I'm impressed enough that if I were Google I'd start paying attention to what was going on. It's about time Google had a decent competitor, and whilst Yandex have a incredibly long journey ahead of them I for one am hoping they start reducing the dominance of Google.